This course will focus on the human head, through hollow, hand-forming construction methods. A variety of slip application and surface development techniques will be demonstrated. 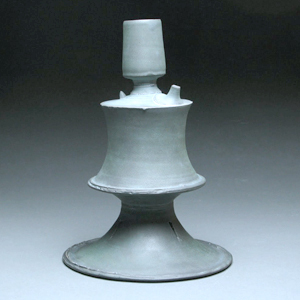 Participants may take their finished greenware home or have it fired post-workshop. Students should have a good working knowledge of hand building. In this workshop, participants will design and construct wheel-thrown teaware and ewers with emphasis on the functionality of brewing and pouring. We will explore the relationship between the components of a pouring vessel -body, spout, strainer, lid, and handle- and how they contribute to the design and the utility as individual parts in a package. 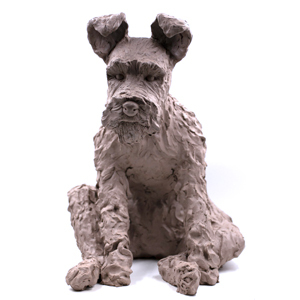 The focus of this workshop is for students to create expressive sculptures in clay. Each student will learn how to hollow build a figurative form using a variety of hand-building techniques. Students should plan to bring a sketchbook and any desired images for inspiration. Students may take their finished piece home or leave it to be fired and contacted when it is ready to be picked up or shipped. Students will learn new techniques and improve their existing skills in this throwing intensive workshop. We’ll explore processes to make larger vessels, altering techniques like handles and spouts, and general working habits that will make you a more proficient thrower. This class is intended for those that have learned to throw previously and need a refresher, as well as those who use the wheel often and want to improve their practice. While throwing will be our main topic, glazing and firing techniques will also briefly be covered. 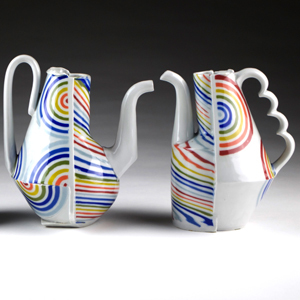 In this 5 day workshop, students will explore combining basic techniques into anything but basic pottery. 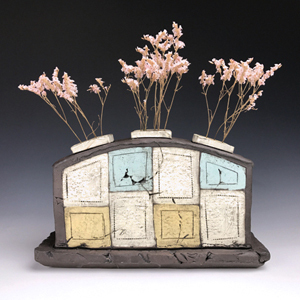 Throughout the workshop, Blair Clemo will demonstrate his unique approach for combining wheel throwing, handbuilding and press molding to make utilitarian pottery. Instruction will also cover beginning mold-making techniques resulting in a variety of one-part press molds. With an emphasis on experimentation, expect a workshop that will encourage innovation and exploration for participants. Students of all skill levels are welcome. There will be an optional complementary yoga break during this workshop session. 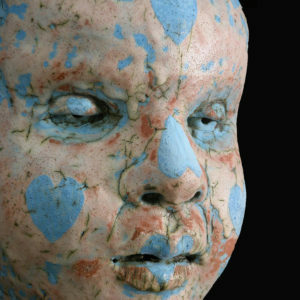 Figurative Myth(ology) will be an exploration of hand-building techniques in clay with the intent of creating abstracted or fragmented figurative forms imbued with personal narrative content. Bring your sketchbook and favorite marking-stick, as drawing will be used as a tool for idea generation and later for planning and problem solving.. The core concepts at play will be combining slab and coil building processes and working on multiple forms simultaneously to gain and maintain creative inertia. A working knowledge of basic/introductory building techniques (wedging, coil & slab building, pinch and modeling of clay) is required, but advanced clay experience is not. In this workshop, you will learn how to take pottery to the next level by focusing on surface design. 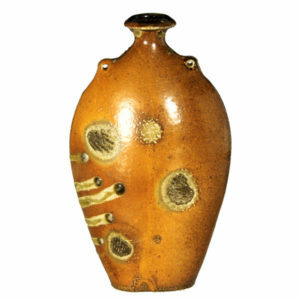 We will learn how to carve, etch and stencil patterns, images and textures onto your pottery. Students will learn Sgraffito, Mishima (Slip Inlay) Stamping, monoprinting as well as water etching. We will do daily drawing exercises to come up with solutions for original and personal surfaces. This workshop is designed for students who have some experience with clay. Students are encouraged to prioritize process and risk taking, and will take home bisque wear designed to be fired at cone 6 oxidation. This workshop will cover all handbuilding techniques, including pinch, coil and slab. 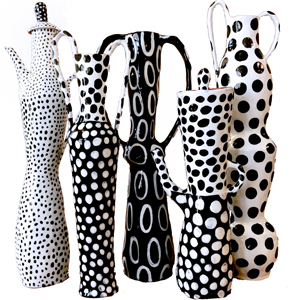 Students will work intuitively with the clay to express their own ideas and identity. Many surface decoration techniques will be shown in order to develop each students individual vision. 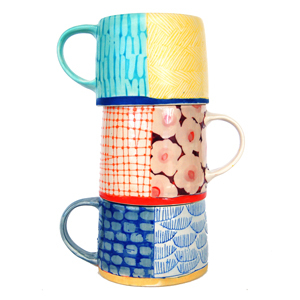 Explore vibrant illustrative surface techniques for your ceramics! Focusing on image and stencil development through doodling, drawing and screen-printing processes. 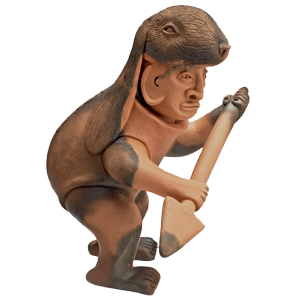 Demonstrations will cover traditional and non-traditional techniques that embellished ceramic surfaces. Wheel thrown and handbuilt techniques will be covered. Hands on activities will cover image development, surface embellishing and decal manipulation. In this workshop, students will create molds to be used in combination with wheel thrown and hand built forms made out of clay. By using press molds made of wood and plaster, the wheel will then be used as a tool to assemble the pieces. 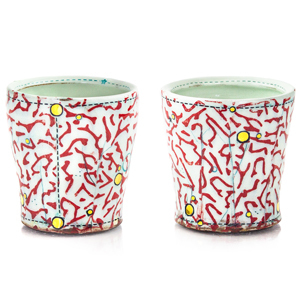 A variety of utilitarian forms will be explored, from cups to vases. The class will also discuss how to use carving and inlay as surface decoration to make each piece unique to the maker. During this workshop, we will stretch clay to its limits while maintaining integrity by using a pinched slab/coil technique to form larger sculptural and vessel forms. Our focus is on abstraction. Slip inlay and sgraffito techniques will also be explored to help bring the surfaces alive. Participants will gain the confidence needed to grow in clay. All levels, previous experience helpful but not necessary.